John Phillips of Illinois is the winner of the 2012 Youth Champion of Champions competition sponsored by the American Association of Philatelic Exhibitors. The event was held in conjunction with the Minnesota Stamp Expo, a World Series of Philately exhibition held in Crystal (Minneapolis), Minnesota, July 20-22, 2012. The Championship, which is underwritten by a grant from World Columbian Stamp Expo, was directed by Robert and Carol Barr of Downers Grove, Illinois. This year�s competition included ten exhibits (24 frames) prepared by youth aged 10 � 18. Exhibitors (which qualified by meeting the requirements of the AAPE Youth Grand Award at nationally accredited shows in the U.S. and Canada) vied for the designation "Youth Champion of Champions" and for many other donated awards. In recognition of their high level of achievement, all participants received Fran Jennings memorial medals as well as a membership in Young Stamp Collectors of America (donated by Ken Martin), Merit Certificates, and ribbons. Youth Champion of Champions - the best youth exhibit shown in North America in 2011-2012. Donated by WESTPEX. Presented to John Phillips (16), representing STAMPSHOW 2011, "America by Water." Reserve Champion � Donated by WESTPEX. Presented to Jesse Chevrier (15) representing Royal 2011, "Owls." Traditional Award - Donated by WESTPEX. Best traditional exhibit. Presented to Haley Oswald (12) representing Sarasota National Stamp Exhibition 2012, "The National Parks 5c Yellowstone Stamp of 1934." Welsh Philatelic Society Postal History Award - Best postal history exhibit. Donated by Ann Triggle. Presented to Annika Fillion (10), representing ROPEX 2011, "U.S. Domestic Rates for First Class Surface Postal and Post Cards between 1873 and Today." Howard Hotchner Award - For the best portrayal of American History. Donated by John Hotchner. Presented to John Phillips (16), representing St. Louis Stamp Expo 2011, "America by Water." ISWSC Award � Best use of worldwide stamps and material. Donated by International Society of Worldwide Stamp Collectors. Presented to Jesse Chevrier (15) representing Royal 2011, "Owls." American Topical Association Youth Award � Best topical exhibit. Presented to John Phillips (16), representing STAMPSHOW 2011, "America by Water." A) NAPEX Global Theme Award - Presented Jasmine Marckwordt (18), representing ROMPEX 2011, "The Korean Was through Grandpa�s Eyes." B) NAPEX Title Page Award - Presented to Annika Fillion (10), representing ROPEX 2011, "U.S. Domestic Rates for First Class Surface Postal and Post Cards between 1873 and Today." C) NAPEX Creativity Award - Presented to Emma Sorenson (12), representing MILCOPEX 2011, "Zoos." D) NAPEX Topical Award � Presented to Jesse Chevrier (15) representing Royal 2011, "Owls." E) NAPEX Thematic Award � Presented to John Phillips (16), representing STAMPSHOW 2011, "America by Water." F) NAPEX Research Award � Presented to Joe Phillips (13), representing INDYPEX 2011, "Bridging the Gap." A) WESTPEX Philatelic Write-up Award � Presented to Emma Grabowski (11), representing Minnesota Stamp Expo 2011, "Eagle and U.S. Mail." B) WESTPEX Flora and Fauna Award - Presented to Emma Sorenson (12), representing MILCOPEX 2011, "Zoos." C) WESTPEX Award of Excellence in Presentation Skills � Presented to Alexandra Fillion (11), representing Ameristamp Expo, "What a Princess Wants." D) WESTPEX Progress Award - Presented to Jared Phillips (11), representing St. Louis Stamp Expo 2012, "Farming: A Growing Technology." E) WESTPEX Entertainment Award - Presented to Alexandra Fillion (11), representing Ameristamp Expo, "What a Princess Wants." F) WESTPEX Judges� Choice Award (Treatment) � Presented to Haley Oswald (12) representing Sarasota National Stamp Exhibition 2012, "The National Parks 5c Yellowstone Stamp of 1934." 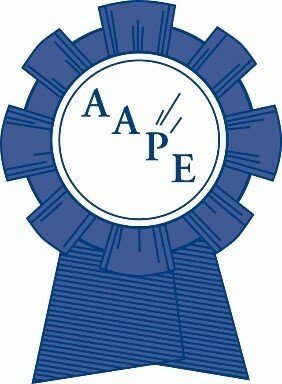 APS Membership Award - Donated by Ken Martin. Presented to Emma Grabowski (11), representing Minnesota Stamp Expo 2011, "Eagle and U.S. Mail." ATA Membership Award � Donated by Don Smith � Presented to Joe Phillips (13), representing INDYPEX 2011, "Bridging the Gap." Potentiality Memorial Awards in memory of Sid Nichols and Chet Allen - Donated by the Pinnacle Stamp Club, Little Rock, Arkansas. Presented to Annika Fillion (10), representing ROPEX 2011, "U.S. Domestic Rates for First Class Surface Postal and Post Cards between 1873 and Today" and to Emma Grabowski (11), representing Minnesota Stamp Expo 2011, "Eagle and U.S. Mail." The Caring Award in memory of Chris Winters, MD - Donated by the Pinnacle Stamp Club, Little Rock, Arkansas. Presented to Emma Sorenson (12), representing MILCOPEX 2011, "Zoos."